Students filled CAS, Room 106 for a night of worship organized by A.Life Kean. A.Life, a Christian ministry, is in the process of establishing itself at Kean. 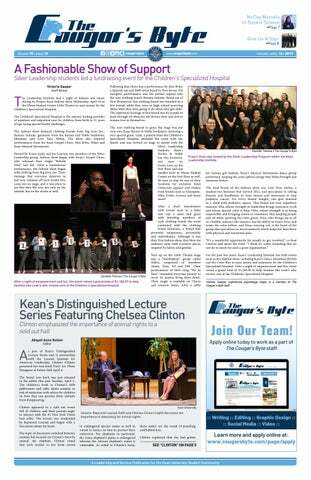 In partnership with Kean Gospel Choir, the ministry is hoping to bring a spiritual revival onto Kean's campus. A.Life was first established at Rutgers New Brunswick by Pastor George Searight II in 2007 and is now under the direction of Shawn and Mary Tucker. The ministry is under the spiritual direction of Abundant Family Worship Church in New Brunswick, NJ and garnered its name "A.Life", which is short for Abundant Life. "The vision of A.Life is to create an environment where those far and near to God can experience the love of God, and we look to do that through intimate worship experiences, teaching the gospel and building community among believers and even nonbelievers," said A.Life Executive Leader Shawn Tucker. "We want to really make sure that we are creating this environment where young adults ages 18 to 35 could worship Jesus freely, learn about Him and grow in their spiritual walk." A.Life is spreading this environment onto the Kean campus and has already found success in bringing students into its worship nights. 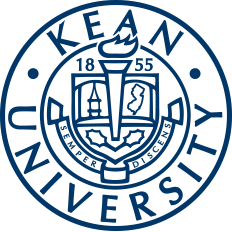 Its first worship at Kean occurred this past February which packed the Center for Academic Success (CAS), Room 106 to the brim with students both from Kean University and Rutgers. Following the success of their first worship night, A.Life came back again this Thursday, March 28 for a second time. "I think [A.Life] is definitely amazing because I didn't see much of this before so having a worship night like this is super encouraging," said Catherine Gutierrez, a junior sociology major at Kean. The worship night began with an invocation of the Holy Spirit and prayer by three prayer leaders. Following the conclusion of their prayers, A.Life performers led the audience into praise and worship through music, helping everyone refocus their attention on God for the night. When the music ended, everyone was then encouraged to go around the room and introduce themselves to other students, creating a sense of community and comfort. A game of word scramble between two teams of four students followed the fellowship. A discussion of the popular app, Words with Friends, was then led by Tucker. He revealed that the success of Words with Friends can be attributed to its ability to tap into the multiplayer gaming niche and the fact that words create a common ground for people. Tucker noted how important words are and how powerful they can be. In his sermon, Tucker revealed just how important words are. His message for the night centered primarily on John 1:1-5 which reads, "In the beginning was the Word, and the Word was with God, and all the Word was God. He was with God in the beginning. Through him all things were made; without him nothing was made that has been made. In him was life, and that life was the light of all mankind. The light shines in the darkness, and the darkness has not over come it." Tucker emphasized how critical it was for everyone to read the Word of God in order to prepare for their path ahead. To illustrate the importance of reading the Bible, Tucker alluded to Psalm 119:105 which says, "Your word is a lamp for my feet, a light on my path." "If we know that the Word of God was established in the beginning, that the Word of God is our starting point, why have we been so negligent with His word?" said Tucker. "If we say that we have the Word of God and the Word of God is a lamp onto my feet and a light onto our pathway, why do we choose on certain days to walk in darkness?" The overall message of Tucker's sermon for the night was that reading the Bible is crucial to one's life so that they can be prepared for life and a proper vessel for God as everyone is called to be. A.Life Kean is looking for more students who are willing to help grow the ministry on campus. Currently, A.Life Kean is being spearheaded by Kean student volunteers Oshane Simpson, Ayrielle Pinkney, Danielle Thomas and Niah Simmons in partnership with A.Life coordinators. Students interested in working for A.Life Kean can contact A.Life at connect@Aliferutgers.com. For more updates, students can follow A.Life's social media accounts on Facebook, on Instagram as @AlifeRu and @AlifeKean and through their website Aliferutgers.com.